Currently, Peter's interests and contributions are in scalable, efficient and inferentially-accurate analytics and in large-scale data infrastructures. 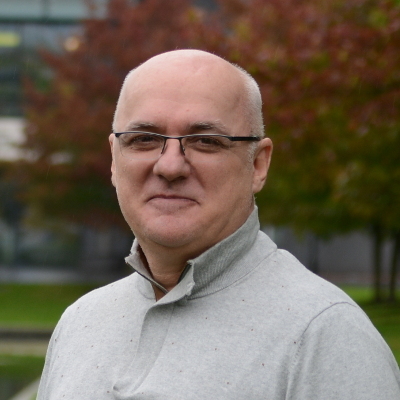 Throughout his career, Peter has been conducting research in large-scale Data Systems, including Distributed Data Management, Decentralized Search Engines and Information Retrieval, Social Networks/Systems, Distributed File Systems, Multimedia Systems, Storage Servers, Peer-to-Peer Systems, and Publish-Subscribe / Event-based Systems. Peter Triantafillou is Professor of Data Systems and Head of the Data Sciences Theme at the Department of Computer Science at the University of Warwick, Fellow of the Alan Turing Institute , member of the Advisory Board of the Urban Big Data Research Centre (a national infrastructure for urban data services and analytics), and Honorary Senior Research Fellow at the School of Computing Science at the University of Glasgow. Prior to that, Peter held professorial positions at the University of Glasgow, Simon Fraser University in Canada, Technical University of Crete and University of Patras in Greece, and visiting professorships at the Max-Planck Institute for Informatics in Germany. Peter received his Ph.D. in computer science from the University of Waterloo and was the Department of Computer Science and the Faculty of Mathematics nominee for the Gold Medal for outstanding achievements at the Doctoral level. Peter has published extensively in top journals and conferences in his areas. Peter's papers have received numerous awards, including the best student paper award at IEEE Big Data 2018, the best paper award at the ACM SIGIR Conference (on Information Retrieval) in 2016 and at the ACM CIKM Conference (on Information and Knowledge Management) in 2006. Peter has served in the Technical Program Committees of more than 120 international conferences, and has been the PC Chair or Vice-chair in several prestigious conferences. Finally, Peter is a co-designer of several innovative systems (such as the MINERVA decentralized search engine and the eXO decentralized social networking system). Q. Ma and P. Triantafillou, “DBEst: Revisiting Approximate Query Processing with Machine Learning Models”, ACM SIGMOD International Conference on Management of Data, (SIGMOD19) July 2019. Y. Moshfeghi, P. Traintafillou, F. Pollick, “Towards Predicting a Realisation of an Information Need based on Brain Signals”, World Wide Web Conference, (The Web Conference19), May 2019. A. Cahsai, C. Anagnostopoulos, N. Ntarmos, and P. Triantafillou, “Revisiting Exact kNN Query Processing with Probabilistic Data Space Transformations”, In Proc. IEEE International Conference on Big Data, (BigData18), December 2018. Acceptance rate: 19%. Best Student Paper Award (among 500+ submissions). F. Savva, C. Anagnostopoulos, and P. Triantafillou, “Explaining Aggregates for Exploratory Analytics”, In Proc. IEEE International Conference on Big Data, (BigData18), December 2018. Acceptance rate: 19%. C. Anagnostopoulos and P. Triantafillou, “Large-scale predictive modeling and analytics through regression queries in data management systems”, Int. Journal of Data Science and Analytics, Springer, Dec. 2018. J. Wang, Z Liu, S. Ma, N. Ntarmos, and P. Triantafillou, “GC: A Graph Caching System for Subgraph / Supergraph Queries”, Proceedings of the VLDB Endowment, (PVLDB), vol. 11, no. 12, August 2018. C. Anagnostopoulos, F. Savva, and P. Triantafillou, “Scalable Aggregation Predictive Analytics: A Query-driven Machine Learning Approach”, Applied Intelligence, Volume 48, Issue 9, pp 2546–25671, Sept. 2018. P. Triantafillou, “Towards Intelligent Distributed Data Systems for Scalable Efficient and Accurate Analytics”, In Proc. 38th IEEE International Conference on Distributed Computing Systems (ICDCS18), July 2018. (Vision and Blue Sky Thinking Track). P. Triantafillou, “Data-Less Big Data Analytics (Towards Intelligent Data Analytics Systems)”, In Proc. 34th IEEE International Conference on Data Engineering, (ICDE18), April 2018, (Lightning Talk / Paper). F. Katsarou, N. Ntarmos, P. Triantafillou, “Hybrid Algorithms for Subgraph Pattern Queries in Graph Databases”, In Proc. IEEE International Conference on Big Data, (BigData17), December 2017. Acceptance rate: 18%. C. Anagnostopoulos and P. Triantafillou, “Query-Driven Learning for Predictive Analytics of Data Sub-Spaces Cardinality”, ACM Transactions on Knowledge Discovery from Data, (ACM TKDD), August 2017, Volume 11, Issue 4, 47 pages. Chen, L., Zhang, H., Jose, J. M. , Yu, H., Moshfeghi, Y. and Triantafillou, P. (2017) Topic detection and tracking on heterogeneous information. Journal of Intelligent Information Systems, (doi:10.1007/s10844-017-0487-y) (Early Online Publication). A. Cahsai, N. Ntarmos, C. Anagnostopoulos, and P. Triantafillou, “Scaling k-Nearest Neighbour Queries (the Right Way), in Proc. of the 37th IEEE International Conference on Distributed Computing Systems (ICDCS17), June 2017. C. Anagnostopoulos and P. Triantafillou, “Efficient Scalable Accurate Regression Queries in In-DBMS Analytics”, In Proc. 33rd IEEE International Conference on Data Engineering, (ICDE17), April 2017, Acceptance rate: 18%. F. Katsarou, N. Ntarmos, P. Triantafillou, “Subgraph Querying with Parallel Use of Query Rewritings and Alternative Algorithms”, 20th International Conference on Extending Database Technology, (EDBT17), March 2017. Acceptance rate: 21%. Wang, N. Ntarmos, P. Triantafillou, “GraphCache: A Caching System for Graph Pattern Queries“, 20th International Conference on Extending Database Technology, (EDBT17), March 2017. Acceptance rate: 21%. F. Katsarou, N. Ntarmos, P. Triantafillou, “Towards Hybrid Methods for Graph Pattern Queries”, Sixth International Workshop on Querying Graph Structured Data (GraphQ 2017), with EDBT2017, March 2017. Wang, N. Ntarmos, P. Triantafillou, “Ensuring Consistency in Graph Cache for Graph-Pattern Queries”, Sixth International Workshop on Querying Graph Structured Data (GraphQ 2017), with EDBT2017, March 2017. Y. Moshfeghi, Raoul Rothfeld, L. Azzopardi, P. Triantafillou, “A Task Completion Engine to Enhance Search Session Support for Air Traffic Work Tasks”, In Proc. European Conference on Information Retrieval, (ECIR17), April 2017. Y. Moshfeghi, P. Triantafillou, “Improving Search Results with Prior Similar Queries”, The 25th ACM International Conference on Information and Knowledge Management, (CIKM16), October 2016. Y. Moshfeghi, P. Triantafillou, F. E. Pollick, “Understanding Information Need: An fMRI Study”, 39th International ACM SIGIR Conf on Research and Development in Information Retrieval, (SIGIR16), July 2016. Acceptance rate: 18%. Best Paper Award (among ~350 submissions). J. Wang, N. Ntarmos, P. Triantafillou, “Indexing Query Graphs to Speed Up Graph Query Processing”, 19th International Conference on Extending Database Technology, (EDBT16), March 15-18, 2016. C. Anagnostopoulos and P. Triantafillou, “Learning to Accurately COUNT with Query-Driven Predictive Analytics”, In Proc. IEEE International Conference on Big Data, (BigData2015), Oct. 2015, Acceptance rate: 16%. J. Wang, N. Ntarmos, P. Triantafillou, “Towards a Subgraph/Supergraph Cached Graph-Query Index”, In Proc. IEEE International Conference on Big Data, (BigData2015), Oct. 2015 (poster). C. Anagnostopoulos and P. Triantafillou, “Learning Set Cardinality in Distance Nearest Neighbours”, In Proc. IEEE International Conference on Data Mining, (ICDM15), Nov. 2015. Acceptance rate: 18%. A. Cahsai, C. Anagnostopoulos, and P. Triantafillou, “Scalable Data Quality for Big Data: The Pythia Framework for Handling Missing Values”, Big Data Journal, September 2015, 3(3): 159-172. F. Katsarou, N. Ntarmos, P. Triantafillou, “Performance and Scalability of Indexed Subgraph Query Processing Methods”, Proceedings of the VLDB Endowment, (P/VLDB15), vol. 8, no. 12, August 2015. Acceptance rate: 20%. Anagnostopoulos and P. Triantafillou, “Scaling Out Big Data Missing Value Imputations”, In Proc. ACM SIGKDD Conference on Knowledge Discovery and Data Mining, (KDD14), August 2014. Acceptance rate: 14%. N. Ntarmos, I. Patlakas, P. Triantafillou, “Rank Join Queries in NoSQL Databases”, Proceedings of the VLDB Endowment, (P/VLDB14), 7(7), March 2014. Acceptance rate: 20%. S. Kumar Kondredi, P. Triantafillou, and G. Weikum, “Combining Information Extraction and Human Computing for Crowdsourced Knowledge Acquisition”, In Proc. 30th IEEE International Conference on Data Engineering, April 2014, (ICDE14). Acceptance rate: 20%. Anne-Marie Kermarrec and Peter Triantafillou, “XL peer-to-peer pub/sub systems”, ACM Comput. Surv.46(2): 16 (2013). S. Kumar Kondredi, P. Triantafillou, and G. Weikum, “Human Computing Games for Knowledge Acquisition”, In Proc. ACM Conference in Information and Knowledge Management, (CIKM13) Oct. 2013 (demo paper). S. Kumar Kondredi, P. Triantafillou, and G. Weikum, “Knowledge Acquisition Meets the Crowds”, In Proc. 23rd International World-Wide Web Conference, (WWW2013), May 2013, (PC-recommended poster), Acceptance rate: 22%. Spyros Sioutas, George Papaloukopoulos, Evangelos Sakkopoulos, Kostas Tsichlas, Yannis Manolopoulos, Peter Triantafillou, ART: Sub-Logarithmic Decentralized Range Query Processing with Probabilistic Guarantees, accepted for publication, Distributed and Parallel Databases (DAPD)., 2013. Srikanta Bedathur, Klaus Berberich, Ioannis Patlakas, Peter Triantafillou, Gerhard Weikum, "D-Hive: Data Bees Pollinating RDF, Text, and Time", In Proc. 6th Biennial Conference on Innovative Data Systems Research, (CIDR13), Jan. 2013. Andreas Loupasakis, Nikos Ntarmos, Peter Triantafillou, eXO: Decentralized Autonomous Scalable Social Networking, 5th Biennial Conference on Innovative Data Systems Research (CIDR11), Jan 2011, 2011. Gerhard Weikum, Nikos Ntarmos, Marc Spaniol, Peter Triantafillou, Andras Benczur, Scott Kirkpatrick, Julien Masanes, Mark Williamson, Longitudinal Analytics on Web Archive Data: It’s About Time!, 5th Biennial Conference on Innovative Data Systems Research (CIDR11), Jan 2011, 2011. Ch. Kaidos, A. Pasiopoulos, N. Ntarmos, P. Triantafillou, SNFS: Design and Implementation of a Social Network File System, 4th Workshop on Social Network Systems (SNS’11), April 2011 (in conjunction with Eurosys 2011), 2011. Ioannis Aekaterinidis, Peter Triantafillou: Pyracanthus: A scalable solution for DHT-independent content-based publish/subscribe data networks. Inf. Syst. 36(3): 655-674 (2011). Theoni Pitoura, Nikos Ntarmos, Peter Triantafillou, Saturn: Range Queries, Load Balancing and Fault Tolerance in DHT Data Systems, IEEE TKDE, 2010. Spyros Sioutas, George Papaloukopoulos, Evangelos Sakkopoulos, Kostas Tsichlas, Yannis Manolopoulos, Peter Triantafillou, ART–sub-logarithmic decentralized range query processing with probabilistic guarantees, ACM Symposium on Principles of Database Systems, PODC 2010, p. 118-119, Brief announcement, 2010. Nikos Ntarmos, Peter Triantafillou, Gerhard Weikum, Distributed Hash Sketches: Scalable, Efficient, and Accurate Cardinality Estimation for Distributed Multisets, ACM Transactions on Computer Systems, (ACM TOCS), accepted to appear, 2009. Nikos Ntarmos, Peter Triantafillou, and Gerhard Weikum, Statistical Structures for Internet-Scale Data Management, The VLDB Journal, (VLDBJ) accepted to appear, 2009. Theoni Pitoura, Peter Triantafillou, , Distribution Fairness in Internet-Scale Networks, ACM Transactions on Internet Technology (ACM TOIT) accepted to appear, 2009. Thomas Neumann, Matthias Bender, Sebastian Michel, Ralf Schenkel, Peter Triantafillou and Gerhard Weikum, Distributed top-k aggregation queries at large, Distributed and Parallel Databases, (DAPD) vol. 24, No. 1, August 2009, pp 3-27, 2009. S. Sioutas, E. Sakkopoulos, Ch. Makris, B. Vassiliadis, A. Tsakalidis, P. Triantafillou, Dynamic Web Service discovery architecture based on a novel peer-based overlay network, Journal of Systems and Software, 82 (2009), pp. 809-824., 2009. Peter Triantafillou, Ioannis Aekaterinidis, Peer-to-Peer Publish-Subscribe Systems, Encyclopedia of Database Systems 2009: 2069-2075, 2009. Thomas Neumann, Matthias Bender, Sebastian Michel, Ralf Schenkel, Peter Triantafillou, and Gerhard Weikum, Optimizing Distributed Top-k Queries, The Ninth International Conference on Web Information Systems Engineering (WISE 2008), 2008. Manos Kapritsos and Peter Triantafillou, , BAD: Bandwidth Adaptive Dissemination, IEEE Distributed Systems Online, vol. 8, no. 11, 2007. Ioannis Aekaterinidis, Peter Triantafillou, Publish/Subscribe Information Delivery with Substring Predicates, IEEE Internet Computing Special Issue on Dynamic Information Dissemination, July 2007. Sebastian Michel, Matthias Bender, Peter Triantafillou, and Gerhard Weikum, Design Alternatives for Large-Scale Web Search: Alexander was Great, Aeneas a Pioneer and Anakin has the Force, Workshop on Large-scale Distributed Systems for Information Retrieval, Collocated with SIGIR, July 2007. Paraskevi Raftopoulou, Manolis Koubarakis, Kostas Stergiou, Peter Triantafillou, Fair Resource Allocation in a Simple Multi-Agent Setting: Search Algorithms and Experimental Evaluation, International Journal of Artificial Intelligence Tools, 2006. M. Bender, S. Michel, Nikos Ntarmos, P. Triantafillou, G. Weikum, C. Zimmer, Discovering and Exploiting Keyword and Attribute-Value Co-occurrences to Improve P2P routing Indices (*), 15th ACM International Conference on Information and Knowledge Management (CIKM 2006), November 2006. Acceptance rate: 15%. Best Paper Award (among 500+ submissions). S. Michel, M. Bender, P. Triantafillou, G. Weikum, Global Document Frequency Estimation in Peer-to-Peer Web Search, Ninth International Workshop on the Web and Databases (WebDB 2006), in conjunction with ACM SIGMOD, June 2006. I. Aekaterinidis, Nikos Ntarmos, Theoni Pitoura, P. Triantafillou, Towards efficient data management services in peer-to-peer networks, in “Global Data Management” editors R. Baldoni, G. Cortese, F. Davide, A. Melpignano, IOPRESS, 2006. M. Bender, S. Michel, P. Triantafillou, G. Weikum, C. Zimmer, To Infinity and Beyond: P2P web search with MINERVA and MINERVA infinity, in “Global Data Management”�, editors R. Baldoni, G. Cortese, F. Davide, A. Melpignano, IOPRESS, 2006. Ioannis Aekaterinidis, Peter Triantafillou, Publish/Subscribe Information Delivery With Substring Predicates, Tech. Report TR2006/11/11/01, R&A Computer Technology Institute, Patras, Greece, November 2006. I. Aekaterinidis, P. Triantafillou, PastryStrings: Content-Based Publish/Subscribe over DHT Networks, Tech. Report TR2006/04/01, R&A Computer Technology Institute, Patras, Greece, April 2006. Gerhard Weikum, David Hales, Christian Schindelhauer, Peter Triantafillou, Towards Self-Organizing Query Routing and Processing for Peer-to-Peer Web Search, European Conference on Complex Systems (ECCS05), November 2005. Gerhard Weikum, Holger Bast, Geoffrey Canright, David Hales, Christian Schindelhauer, Peter Triantafillou, Towards Peer-to-Peer Web Search, Workshop in Peer-to-peer Data Management in the Complex Systems Perspective, collocated with the European Conference on Complex Systems, ECCS, November 2005. Nikos Ntarmos, Theoni Pitoura, Peter Triantafillou, Range query optimization leveraging peer heterogeneity (*), 3rd International Workshop on Databases, Information Systems and Peer-to-Peer Computing (DBISP2P 2005), August 2005. Sebastian Michel, Peter Triantafillou, Gerhard Weikum, Approximate Top-k Query Algorithms over Widely Distributed Data Sources, 4th Hellenic Data Management Symposium (HDMS), August 2005. Theoni Pitoura, Nikos Ntarmos, Peter Triantafillou, Replication, Load Balancing and Efficient Range Query Processing in DHTs (*), 4th Hellenic Data Management Symposium (HDMS), August 2005. Ch. Makris, E. Sakkopoulos, S. Sioutas, P. Triantafillou, A. Tsakalidis, B. Vassiliadis, NIPPERS: Network of InterPolated PeERS for Web Service Discovery, IEEE International Conference on Information Technology, Coding and Computing, April 2005. A. Hondroulis, C. Harizakis, P. Triantafillou, Optimal Memory Exploitation in Continuous Media Servers: To Cache or to Prefetch, Multimedia Tools and Applications Journal, 23:3, 2004. P. Triantafillou, N. Ntarmos, J. Yannakopoulos, D.I.C.E: A Cache Engine for e-Content Integration, IEEE Internet Computing, April 2004. P. Triantafillou, I. Aekaterinidis, Content-based Publish/Subscribe Systems over Structured P2P Networks, International Workshop on Distributed Event Based Systems (DEBS04), May 2004. P. Triantafillou, Self Organization and Volunteering: Engineering in Very Large Scale Sharing Networks, International Workshop on Self-* Properties in Complex Information Systems, Bertinoro Italy, May 2004. N. Ntarmos, P. Triantafillou, AESOP: Altruism-Endowed Self Organizing Peers (*), 2nd International Workshop on Databases, Information Systems and Peer-to-Peer Computing, August 2004. Nikos Ntarmos, Peter Triantafillou, SeAl: Selfishness and Altruism in Peer-to-Peer Data Sharing Networks (*), 3rd Hellenic Data Management Symposium, HDMS’04, June 2004. Peter Triantafillou, Nikos Ntarmos, Theoni Pitoura, The RangeGuard: Range Query Optimization in Peer-to-Peer Data Networks (*), 3rd Hellenic Data Management Symposium, HDMS’04, June 2004. E. Balafoutis, G. Nerjes, P. Muth, M. Paterakis, P. Triantafillou, G. Weikum, Clustered Scheduling Algorithms for Mixed-Media Disk Workloads, Cluster Computing: The Journal of Networks, Software Tools, and Applications, special issue on Divisible Load Scheduling, 6(1), 2003. P. Triantafillou, T. Pitoura, Towards a Unifying Framework for Complex Query Processing over Structured Peer-to-Peer Data Networks, VLDB ’03 Workshop on Databases, Information Systems, and Peer-to-Peer Computing, September 2003. P. Triantafillou, N. Ntarmos, S. Nikoletseas, P. Spirakis, Nanopeer Networks and Peer-to-Peer Worlds, 3rd IEEE International Conference on Peer-to-Peer Computing, September 2003. P. Triantafillou, Peer-to-Peer Network Architectures: The Next Step, SIGCOMM Workshop on Future Directions in Network Architectures (FDNA-03), August 2003. P. Triantafillou, I. Aekaterinidis, Web Proxy Cache Replacement: Do’s, Dont’s, and Expectations, 2nd International IEEE Symposium on Network Computing and Applications, April 2003. P. Triantafillou, I. Aekaterinidis, ProxyTeller: A proxy placement tool for content delivery under performance constraints, 4th IEEE Web Information Systems Engineering Conference (WISE), December 2003. P. Triantafillou, N. Ntarmos, J. Yannakopoulos, DICE and COINS: A Data Integration Cache Engine for a Content Integration System, 4th IEEE Web Information Systems Engineering Conference (WISE), December 2003. P. Triantafillou, N. Ntarmos, J. Yannakopoulos, The HyperHotel Application built over DICE and COINS, 4th IEEE Web Information Systems Engineering Conference (WISE), December 2003. P. Triantafillou, C. Xiruhaki, M. Koubarakis, N. Ntarmos, Towards High-Performance Peer-to-Peer Content and Resource Sharing Systems, Conference on Innovative Data Systems Research (CIDR), January 2003. I. Aekaterinidis, P. Triantafillou, String Attribute Processing over DHTs: The Publish-Subscribe Case, Technical Report No. TR2004/12/03, Research Academic Computer Technology Institute, 2003. P. Triantafillou, S. Christodoulakis, C. Georgiadis, A Comprehensive Analytical Performance Model for Disk-Storage Device Technologies under Random Workloads, IEEE Transactions on Knowledge and Data Engineering, vol. 14, no. 1, 140-155, 2002. P. Triantafillou, R. Harpantidou, M. Paterakis, High-Performance Data Broadcasting Systems, ACM/Baltzer Mobile Networks and Applications Journal (MONET) special issue on Pervasive Computing, 7, 279-290, 2002. C. Georgiadis, P. Triantafillou, C. Faloutsos, Fundamentals of Scheduling and Performance of Robotic Tape Libraries in Video Server Environments, Multimedia Tools and Applications Journal, Kluwer Academic, 18, pp. 137-158, 2002. P. Triantafillou, A. Economides, Subscription Summaries for Scalability and Efficiency in Publish/Subscribe Systems, 1st Intl. IEEE Workshop on Distributed Event-based Systems, (DEBS02), July 2002. P. Triantafillou, C. Xiruhaki, M. Koubarakis, Efficient Massive Sharing of Content among Peers, IEEE Workshop on Resource Sharing in Massively Distributed Systems (RESH’02) , July 2002. P. Triantafillou, T. Papadakis, Continuous Data Block Placement and Elevation from Tertiary Storage in Hierarchical Storage Servers, Cluster Computing: The Journal of Networks, Software Tools, and Applications, no. 4, pp.157-172, 2001. P. Triantafillou, A. Hondroulis, C. Harizakis, Optimal Memory Exploitation for Continuous Media: to cache or to prefetch, 7th International Workshop on Multimedia Information Systems, (MIS), November 2001. P. Triantafillou, R. Harpantidou, M. Paterakis, High-Performance Data Broadcasting: A Comprehensive Systems’ Perspective (or The Non-issue of Broadcast Scheduling), 2nd International Conference on Mobile Data Management, January 2001. S. Harizopoulos, C. Harizakis, P. Triantafillou, Hierarchical Caching and Prefetching for High-Performance Continuous Media Servers with Smart Disks, IEEE Concurrency, Special Issue on Caching in Distributed Systems, pp. 16-22, July 2000. G. Nerjes, P. Muth, M. Paterakis, Y. Robogianakis, P. Triantafillou, G. Weikum, Incremental Scheduling for Mixed Workloads in Multimedia Information Servers, Multimedia Tools and Applications, Kluwer, vol. 11, no.1, p. 9-23, May 2000. P. Triantafillou, S. Christodoulakis, C. Georgiadis, Optimal Data Placement on Disks: A Comprehensive Solution for Different Technologies, IEEE Transactions on Knowledge and Data Engineering vol. 12, no. 2, March 2000. C. Vassilakis, M. Paterakis, P. Triantafillou, Video Placement and Configuration of Distributed Video Systems Based on Cable TV Networks, ACM/Verlag Multimedia Systems Journal, vol. 8, no. 3, pp. 92-104, March 2000. P. Triantafillou, Infrastructure System Support for High-Performance Servers for Modern Applications, Invited Paper and Talk for the Telecom Italia, SSGRR 2000 Conference, La Aquila, Italy, July 2000. P. Triantafillou, Y. Georgiadis, Hierarchical Scheduling Algorithms for Near-Line Robotic Tape libraries, 2nd IEEE Intern. Workshop on Parallel and Distributed Databases, PaDD’99, September 1999. P. Triantafillou, C. Faloutsos, Overlay Striping for Optimal Parallel I/O in Modern Applications, Parallel Computing Journal, Special Issue on Parallel Data Servers and Applications, pp 21-43, January 1998. G. Nerjes, Y. Robogianakis, P. Muth, M. Paterakis, P. Triantafillou, G. Weikum, Scheduling Strategies for Mixed Workloads in Multimedia Information Systems, IEEE Workshop on Research Issues in Data Engineering, (RIDE), on Continuous Media Databases, February 1998. P. Triantafillou, An Approach to Deadlock Detection for Multidatabases, Information Systems: An International Journal, vol. 22, no. 1, pp 39-55, February 1997. P. Triantafillou, C. Neilson, Achieving Strong Consistency in a Distributed File System, IEEE Transactions on Software Engineering, vol. 23, no. 1, pp. 35-55, January 1997. G. Nerjes, Y. Robogianakis, P. Muth, M. Paterakis, P. Triantafillou, G. Weikum, Configuring and Performance Modeling of Multimedia Servers with Mixed Workload, 3rd International Workshop on Multimedia Information Systems, September 1997. P. Triantafillou, S. Christodoulakis, D. Magoulioti, Benchmarking and Performance Fine-tuning of Multimedia Servers, In Proceedings of EUROPAR’97, workshop #18 on Distributed and Parallel Databases, August 1997. C. Vassilakis, M. Paterakis, P. Triantafillou, Modeling, Design, and Performance Evaluation of Interactive Distributed Video-on-Demand Systems, 4th IEEE Workshop on High-Performance Communication Systems (HPCS’97), June 1997. P. Triantafillou, D. J. Taylor, VELOS: A New Approach for Efficiently Achieving High Availability in Partitioned Distributed Systems, IEEE Transactions on Knowledge and Data Engineering, pp. 305-321, April 1996. P. Triantafillou, Availability and Performance Limitations in Multidatabases, Information Systems: An International Journal, vol. 21, no. 7, pp. 577-593, , 1996. P. Triantafillou, Independent Recovery in Large-Scale Distributed Systems, IEEE Transactions on Software Engineering, vol. 22, no. 11, pp. 1-15, November 1996. S. Christodoulakis, P. Triantafillou, Research and Development Issues in Large-Scale Multimedia Systems, ACM Computing Surveys, Special Issue on Multimedia Information Systems, pp. 75-79, December 1995. P. Triantafillou, D. J. Taylor, The Location-Based Paradigm for Replication: Achieving Efficiency and Availability in Distributed Systems, IEEE Transactions on Software Engineering, vol. 21, no. 1, pp 1-18, January 1995. P. Triantafillou, D. J. Taylor, Multi-Class Replicated Data Management: Exploiting Replication to Improve Efficiency, IEEE Transactions on Parallel and Distributed Systems, vol. 5, no. 2, pp 121-138, February 1994. P. Triantafillou, High Availability is not Enough, Proceedings of 2nd Workshop on the management of Replicated Data (IEEE Technical Committee on Operating Systems), Monterey, California, pp 40-44, November 1992. P. Triantafillou, D. J. Taylor, Using Multiple Replica Classes to Improve Performance in Distributed Systems, 11th IEEE, International Conference on Distributed Computing Systems, Arlington, Texas, pp 420-428, May 1991. P. Triantafillou, D. J. Taylor, Efficiently Maintaining Availability in the Presence of Partitionings in Distributed Systems, 7th IEEE International Conference on Data Engineering, Kobe, Japan, pp 34-41, April 1991. P. Triantafillou, Employing Replication to Achieve High Availability and Efficiency in Distributed Systems, Research Report CS-91-28, Department of Computer Science, University of Waterloo, (PhD Thesis), July 1991. P. Triantafillou, M. A. Bauer, Distributed Name Management in Internet Systems: A Study of Design and Performance Issues, Journal of Parallel and Distributed Computing, vol. 4, no. 9, pp 357-368, August 1990. P. Triantafillou and D. J. Taylor, A New Paradigm for High Availability and Efficiency in Replicated Distributed Databases, 2nd IEEE Symposium on Parallel and Distributed Processing Dallas, Texas, pp 136-143, December 1990. P. Triantafillou, M. A. Bauer, Issues of Name Management in Internet Systems, Technical Report #208, Department of Computer Science, The University of Western Ontario, (M.Sc. Thesis), 1988.
International Workshop on Algorithmic Aspects of Cloud Computing (ALGOCLOUD), 2015, 2016, 2017, 2018. The ACM/USENIX/IFIP Middleware Conference (2012–2015). Lead Guest Editor – Special Thematic Series on Big Data, Journal of Internet Services and Applications, Springer, 2015 and 2016. Organizing Committee for the ACM CIKM 2015 Workshop on Understanding the City with Urban Informatics, Oct 2015. PC co-chair: the 2015 International Workshop on Algorithmic Aspects of Cloud Computing (ALGOCLOUD), September 2015. PC co-chair: the 13th ACM/USENIX/IFIP Middleware Conference, Dec. 2012. PC co-chair: 11 Web Information Systems Engineering Conference, WISE Dec. 2010. PC chair: Middleware Doctoral Symposium 2009. PC Vice Chair: the 24th International Conference on Data Engineering (ICDE08), for the area Distributed, Parallel, and Peer-to-peer Databases. PC chair: the 5th Hellenic Data Management Symposium, Sept. 2006.
the 2020 Conference on Innovative Data Systems Research (CIDR), Jan 2020.
the 2019 ACM/IFIP/USENIX Middleware Conference, December 2019. 22nd Conference on Extending Data Base Technology, EDBT19, March 2019. ACM Conference on Information and Knowledge Management, CIKM18. ACM International Conference on the Management of Data, SIGMOD18 (Reproducibility PC), 2018. The 34th IEEE International Conference on Data Engineering, ICDE18 April 2018. The 21st Conference on Extending DataBase Technology, (EDBT18) March 2018. The ACM SIGMOD Conference (Reproducibility), 2017. The PhD Symposium at ACM/USENIX/IFIP Middleware Conference, Dec. 2017. The 20th Conference on Extending DataBase Technology, (EDBT17) March 2017. The 6th International Workshop on Querying Graph Structured Data, (GraphQ17), collocated with EDBT’17. The 16th ACM/USENIX/IFIP Middleware Conference, Dec. 2016. The ACM SIGMOD Conference (Reproducibility), 2016. The ACM SIGMOD Conference (Tutorials), June 2016. The 19th Conference on Extending DataBase Technology, (EDBT16) March 2016. The ACM SIGMOD Conference (Reproducibility), 2015. The ACM International Conference on Distributed Event-Based Systems, DEBS15, June 2015. 5th Temporal Web Analytics Workshop (TempWeb 2015), in conjunction with WWW15, May 18, 2015. The 18th Conference on Extending DataBase Technology, (EDBT15) March 2015. The 15th ACM/USENIX/IFIP Middleware Conference, Dec. 2014. The 4th Temporal Web Analytics Workshop (TempWeb 2014), in conjunction with WWW 2014, April 2014. The International Conference on Principles of Distributed Systems, (OPODIS), December 2013. The 14th ACM/USENIX/IFIP Middleware Conference, Dec. 2013. The 3rd Temporal Web Analytics Workshop (TempWeb 2013), in conjunction with SIGIR 2013.
the ACM Distributed Event Systems Conference, 2013.
the IEEE International Conference in Distributed Computing Systems, ICDCS 2013.
the 6th Biennial Conference on Innovative Data Systems Research CIDR2013, Jan. 2013.
the 38th International Conference on Very Large Data Bases, VLDB12 Experiments and Analyses Track, Aug. 2012.
the 13th Web Information System Engineering Conference (WISE 2012), 2012.
the 38th International Conference on Very Large Data Bases, VLDB12, Research Track, Aug. 2012.
the 13th ACM/USENIX/IFIP Middleware Conference, Dec. 2012. Program Committee co-chair. the 12th Web Information System Engineering Conference (WISE 2011), 13-15 October 2011.
the 11th Hellenic Data Management Symposium, June 2011.
the IEEE International Conference on Distributed Computing and Systems, June 2012 (ICDCS12), Track on Fault-Tolerance and Dependability. the 12th ACM/USENIX/IFIP Middleware Conference, Dec. 2011.
the 1st International Temporal Web Analytics Workshop (TWAW), March 2011, in conjunction with the World Wide Web Conference (WWW2011). the International Conference on Distributed Computing and Systems, June 2011 (ICDCS11). the International Conference on Extending Data Base Technology, March 2011 (EDBT 2011). the 9th International Conference on Ontologies, DataBases, and Applications of Semantics (ODBASE 2010), Oct. 2010.
the 11th ACM/USENIX/IFIP Middleware Conference, Dec. 2010.
the ACM/USENIX/IFIP Middleware Doctoral Symposium, Dec. 2010. PC chair (Europe), 2010 International Conference on Web Information Systems Engineering (WISE10). 29th Annual ACM SIGACT-SIGOPS Symposium on Principles of Distributed Computing (PODC’2010). the International Conference on Extending Data Base Technology, March 2010 (EDBT 2010). the 4th ACM International Conference on Distributed Event-Based Systems, DEBS10, June 2010. ACM/USENIX Middleware Doctoral Symposium 2009: Program Committee chair. the 26th IEEE International Conference on Data Engineering, March 2010 (ICDE 2010). the 10th ACM/USENIX Middleware Conference, Dec. 2009.
the 3rd ACM International Conference on Distributed Event-Based Systems, DEBS09, July 2009.
the 9th IEEE Conference on Peer-to-Peer Computing (P2P2009), Sept. 2009.
the Location-based services (LBS) and applications” (LBSA) in conjunction with ICPP’09 – The 2009 International Conference on Parallel Processing, Sept. 2009.
the 12th International Conference on Extending Data Base Technology, March 2009 (EDBT 2009) . the 25th IEEE International Conference on Data Engineering, March 2009 (ICDE09). the International Workshop on Databases, Information Systems and Peer-to-Peer Computing, DBISP2P, Sept, 2008 (collocated with VLDB-2008). the 6th Workshop on Large Scale Distributed Systems for Information Retrieval, (LSDSIR08), Oct. 2008 (with ACM CIKM08). the 8th Hellenic Data Management Symposium, HDMS08, July 2008.
the 8th IEEE Conference on Peer-to-Peer Computing (P2P2008), Sept. 2008.
the 9th ACM/USENIX Middleware Conference, Dec. 2008.
the 11th International Conference on Extending Data Base Technology, EDBT 2008, March 2008.
the 24th IEEE International Conference on Data Engineering (ICDE 2008). Vice-chair for the PC of ICDE 2008 for the sub-area: Distributed, parallel, Peer to Peer databases. the International Workshop on Databases, Information Systems and Peer-to-Peer Computing, DBISP2P, Sept, 2007 (collocated with VLDB-2007). the Panhellenic Conference on Informatics, 2007.
the 7th Hellenic Data Management Symposium, 2007.
the 8th ACM/USENIX Middleware Conference, Nov. 2007.
the 7th IEEE Conference on Peer-to-Peer Computing (P2P2007). the Database Management and Application over Networks (DBMAN 2007) workshop. the 4th International Conference on Autonomic and Trusted Computing, July 2007.
the P2P Systems for Collaboration Workshop, in conjunction with the CTS 2007 Symposium. the 1st International Conference on Distributed Event-Based Systems, DEBS07, June 2007.
the Database and Expert System Applications, International Conference, DEXA 2007.
the International Workshop on Databases, Information Systems and Peer-to-Peer Computing, DBISP2P, Sept, 2006 (collocated with VLDB-2006). the International Workshop on Agents and Peer-to-Peer Computing, AP2PC06, collocated with the Autonomous Agents and Multi-Agent Systems (AAMAS) May 2006.
the Fifteenth ACM Conference on Information and Knowledge Management, CIKM06, Nov 2006.
the 6th IEEE International Conference on P2P Computing, August 2006 .
the 5th Hellenic Data Management Symposium, 2006 – Program Chair. the Twelfth ACM SIGKDD International Conference on Knowledge Discovery and Data Mining, KDD-2006, Aug. 2006.
the International Conference on Extending DataBase Technology, EDBT, March 2006.
the 32nd International Conference on Very Large Data Bases, VLDB 2006, Sept. 2006.
the ACM/IFIP/USENIX International Middleware Conference, Middleware 2005, (Dec. 2005). the 6th International Workshop on Advanced Parallel Processing Technologies, October 2005). the 5th IEEE International Conference on Peer-to-Peer Computing, P2P2004, (August 2005). the 3rd International Workshop on Databases, Information Systems and Peer-to-Peer Computing, DBISP2P 2005, (August 2005). Hellenic Data Management Symposium, (2005). the Demonstrations Track of the VLDB 2005 International Conference, (August 2005). the IEEE International Conference on Pervasive Services, (July 2005). the International Workshop on Agents and Peer-to-Peer Computing, AP2PC05, collocated with the Autonomous Agents and Multi-Agent Systems AAMAS, (July 2005). the 4th International ACM Workshop on Data Engineering for Wireless and Mobile Access, MobiDE’05, collocated with the ACM SIGMOD conference, (June 2005). the International Workshop on “Distributed Event-Based Systems”, DEBS 2005, collocated with ICDCS-2005, (June 2005). the IEEE International Conference on Data Engineering, ICDE05, (March 2005). The Sixth International Conference on Web Information Systems WISE 2005. 5th IEEE Workshop on Algorithms for Wireless, Mobile, Ad Hoc and Sensor Networks, held jointly with IPDPS 2005.
the 10th Panhellenic Conference on Informatics, 2005.
the 2nd International Workshop on Metadata Management in Grid and P2P Systems, (December 2004). the “ACM/IFIP/USENIX International Middleware Conference”, ACM Middleware, (October 2004). 2nd International Workshop on Databases, Information Systems, and Peer-to-Peer Computing, collocated with VLDB 2004, (September 2004). 4th IEEE International Conference on Peer-to-Peer Computing, (August 2004). the first International Workshop on Algorithmic Aspects of Wireless Sensor Networks ALGOSENSORS04, in conjunction with ICALP 2004, (July 2004). 3rd Hellenic Data Management Symposium, (June 2004). the ACM International Conference on the Management of Data, ACM SIGMOD ’04, (June 2004). International Workshop on Distributed Event-Based Systems, collocated with ICSE 2004, (May 2004). the IEEE International Conference on Data Engineering, PhD Workshop, (March 2004). the International Conference on Extending Database Technology EDBT, PhD Workshop, (March 2004). International Workshop on Agents and Peer-to-Peer Computing, 2004, with the Autonomous Agents and Multi-Agent Systems (AAMAS) International Conference 2004.
the IEEE International Conference on Web Information Systems Engineering, WISE ’04, 2004.
International Workshop on Databases, Information Systems, and Peer-to-Peer Computing, collocated with VLDB 2003, (September 2003). International Workshop on Distributed Event-Based Systems, collocated with SIGMOD 2003, (June 2003). 9th Workshop on Multimedia Information Systems MIS03, (May 2003). 1st Balkan Conference on Informatics, 2003. 2nd Hellenic Computer Science Conference, 2003.
International Workshop on Agents and Peer-to-Peer Computing, with the Autonomous Agents and Multi-Agent Systems (AAMAS) International Conference, 2003. Our paper "Revisiting Approximate Query Processing with Machine Learning Models" has been accepted at ACM SIGMOD 2019. Our paper on Predicting Information Needs, has been accepted at WWW19 -The Web Conference 2019. Our paper "Revisiting Exact kNN Query Processing with Probabilistic Data Space Transformations" received the best student paper award at IEEE Big Data 2018. Alan Turing Institute Project on "Scalable Regression: Tools and Techniques" starting November 1, 2018 -- stay tuned. PVLDB Reproducibility has taken off, since September 2018. ~~Get in touch if you wish to support this valuable and rewarding effort. EPSRC Project on Closed-Loop Data Science, with friends from Glasgow, is live.